Denver Broncos C Matt Paradis has received medical clearance after undergoing surgery on both hips at the end of last season, according to Mike Klis of 9news. 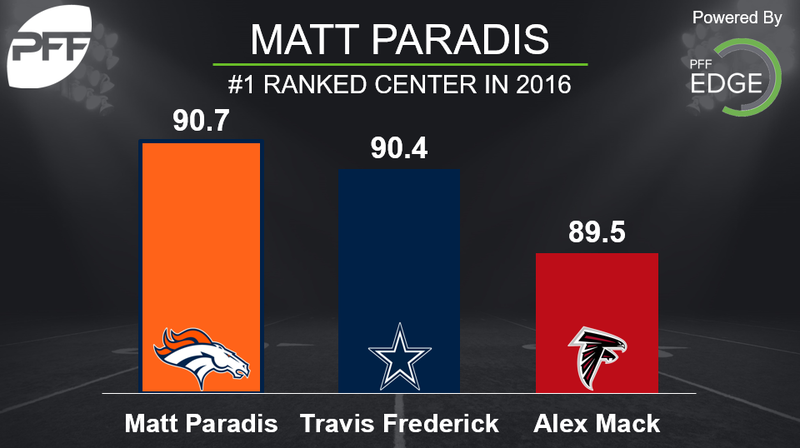 After being selected in the sixth round in the 2014 draft out of Boise State, Paradis has played 2,392 out of 2,402 possible snaps, more than any other Bronco over the last two years. After a decent first season, his play took a huge jump forward in 2016. Not only did he become a dominant run-blocker, he also improved on his pass-blocking. He surrendered 17 pressures (pass-blocking efficiency of 97.9, 13th among centers) compared to 29 in 2015 (PBE of 96.6, 19th).